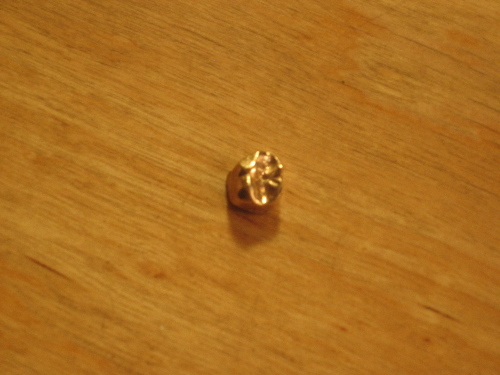 The only problem with getting a gold tooth is the part where you don't actually get to keep the gold tooth, because when it was installed it hurt more than you expected and fell out, into your food, and this happened because the gold crown was adhering, valiantly, to a bit of molar that turned out to be cracked so all the root canal malarkey was a huge waste of time and money because the tooth was subsequently removed, entirely, and there is, not surprisingly and not yet, no effective market in used gold crowns. Gold, yes. Teeth, no, not as long as the tooth-bearer is alive.